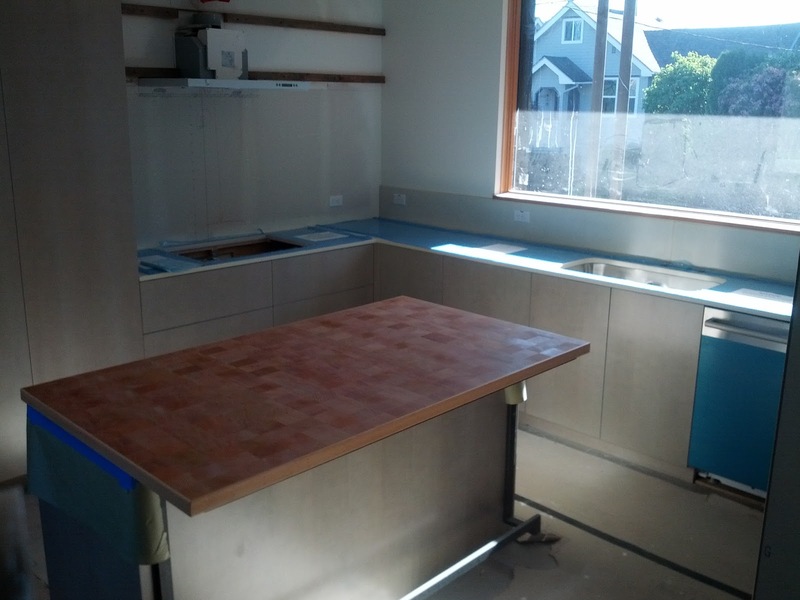 Our countertops went in today, marking a milestone of completeness. 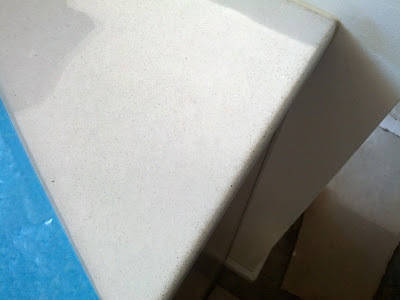 They are not actually blue - that is a protective film that we will leave on until the rest of the work is done. The newly oiled butcherblock counter (salad bowl oil)is in the foreground. The countertops are made of cement, but in a factory so that they achieve far more refined results than a cast-in-place approach. The manufacturer is Cement Elegance, from Bend, OR. I gave the samples some hard-core testing, and they resisted all my attempts to stain them. 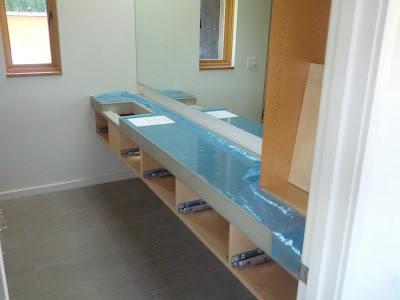 An installation story: The longest piece of kitchen counter was so long that we almost couldn't get it into place. 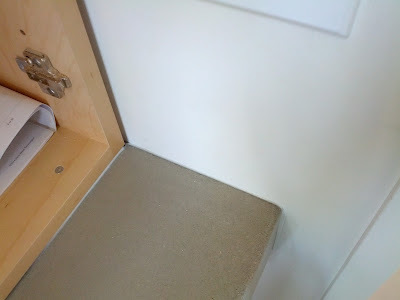 It involved five of us lifting it, with protective padding on the cabinets, and a clearance that was so tight it came down to removing a cabinet door to allow it to swing into place.